In Egypt the people were never consulted to answer the question of Who is an Egyptian? the identity of the country and the nation was always being decided by that one ethnic majority representatives who are in power, and the Egyptian people just had to accept it leading to a current devastating identity crisis. Egyptians are confused in determining their relationship with religion, with their Arab neighbors, with Europe and with the world. The story of the single group that monopolized defining the frame of the Egyptian national identity and the Egyptian national historical narrative is a story that still trouble Egypt till today. In the 50s militant chauvinists imposed an strict radical Egyptian and pan-Arabist identity on the country, in the 70s Sadat added a strong religious element to the nationalist identity defining Egypt as an Islamic nation, nowadays, Muslim extremists are determined deconstruct and reconstruct the whole national Egyptian self perception to impose a wahabi Islamist identity. At one point in history, modern nations had to answer the question of identity, the Germans had to define who is a German, and the French had to define who is a Frenchman. Europeans started to define and refine their own perceptions about their identities since the 18th century till, pushed by structuralism and the concept of a nation-state they had to put clear definitions for identity, nationality and citizenship which was also very necessary for state administrative purposes. The first nationality law in Germany was issued 1913, France in 1889, Italy in 1912 and in Britain 1914. In Egypt, it happened a bit a later. the Egyptians did not have to answer the question of "Who is an Egyptian?" till the dissolution of the Ottoman sultanate in 1922. Prior to that, residents of Egypt were subjects of the Ottoman sultan, one could easily travel inside the Ottoman empire freely and reside anywhere he wishes. Thus, since the 17th century Egypt was a destination for many immigrants. Turkish, Armenians, Jews, Iraqis, Levantians and many others resettled in Egypt for various reasons, all of them were subjects of the Ottomans like all other Egyptians. The promulgation of the 1929 Egyptian Nationality Law was the culmination of a long search for a legal answer to the question of who was an Egyptian. Several decrees between 1892 and 1902 tried to deal with this issue for administrative purposes, but it was only after the severing of Egypt from the Ottoman Empire in 1914, and the subsequent emergence of the Egyptian nation-state, that the question became acute. Several trials and drafts were issued since 1914 but the first Egyptian nationality law was to be introduced in May 22nd 1926, which was refined later in the Egyptian nationality decree issued in February 27th 1929. In that law Egyptian nationality was passed only through an Egyptian father, and one of the main issues that the code addressed was residents of foreign origins and whether to consider them Egyptians or not, to this the law stated that a person born in Egypt of a ‘foreign’ father, (who himself was also born in Egypt), was entitled to Egyptian nationality only if the foreign father “belonged racially to the majority of the population of the country whose language is Arabic or whose religion is Islam. This became the canonized Egyptian identity. This law negatively affected thousands of hundreds of residents like the Jewish community whom their immigration to Egypt from Spain, Iraq, Syria and Palestine started since the 15th century. Other groups like the Armenians and the Greeks were also excluded by this definitions. The irony is that if the family of Muhammad Ali the founder of modern Egypt himself were regular residents at the time, they themselves would not have been able to apply for Egyptian nationality. By the end of the day only 10,000 of the 80,000 Egyptian Jews were entitled to Egyptian nationality, 40,000 were left officially stateless with no citizenship, 30,000 were considered foreign nationals. The Jews who had foreign citizenship acquired it usually by purchase in the colonial era and the never felt that it would compromise their Egyptian identity, because before that law, Egyptian citizenship did not exist. The Egyptian nationality law decided to exclude those who were unworthy of being Egyptian. Unlike the Turkish nationality law of 1928 which allowed all foreign elements to be absorbed in the new definition of the Turkish nation, the Egyptian law allowed for the absorption of foreign elements only if there was a common cultural, linguistic and religious background. The rise of Egyptian radical right wing groups had a significant role in creating the standard frame of Egyptian identity based on a single ethnic majority, pushing the self precived awareness of identity towards a single heritage narrative. The Muslim Brotherhood (active since the 1920s till founded officially in 1928), and Young Egypt movement (active since the 1920s till founded officially in 1933) were the most extreme right wing hawks. Ahmad Husayn, the leader of Young Egypt, promoted his vision of a racially pure Egypt that will be Arab and Muslim, the idea of the Muslim Brotherhood relied more on the religious Islamic association. In both frames, all non-Muslim Egyptians who had non-Egyptian origins were left out. Their views are to affect the Egyptian self-perceptions for a century later. 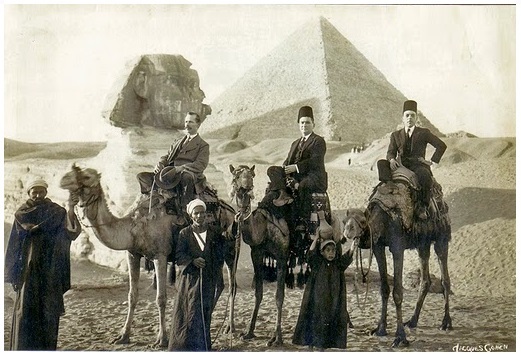 Establishing citizenship and defining a cultural and racial frame for who is an Egyptian was done solely by the state away from the people, as many other transactions between both parties, many Egyptians who did no travel abroad nor cared for official documentation bothered to obtain nationality certificates nor identity documents, thus most of Egyptians -including those who the law considered non-Egyptians- did not feel that it was of any significance, not before the company law in 1947 which required all businesses to employ a fixed quota of usually 75% of Egyptian citizens. This law targeted specifically Jews and other unwanted minorities, groups which was sought to be not Egyptian enough. notifying the authorities of their intentions of coming back, lost their nationality. Many Jews were expelled out of the country after that law on the claim that they are non-Egyptians and identity-less, in many cases after the Egyptian nationality was withdrawn from them. After the unity was Syria, the United Arab Republic needed a new nationality law which would be broader in defining in the identity of the residents of the UAR. The law 81/1958 was issued to have the pan-Arabist definitions of the Arab Nation Al Ummah Al Arabiah, and defined the identity of the nationals as Arab citizens. A rapid process of nationalization simultaneously in Egypt to evacuate the country of any foreign elements and substitute them with Egyptian ones. Strict laws concerning property and business ownership were issued, Jews and other non Egyptian residents had to use Egyptian puppets to run their businesses through, then the state confiscated most of the foreign property by 1962. Berbers, Nubians and Bedouins were also excluded from the Egyptian self definition on racial basis, with their own indigenous languages and isolated social structure and geographical presence. The definition of an Egyptian was to be applied only to the Egyptian Arabic speaking light skin Muslim residents of the valley. By the 1970s president Sadat, who had originated from the delta peasants, added a new profound element to the standard official Egyptian identity, one which still troubles the country to this very day; Islamic. 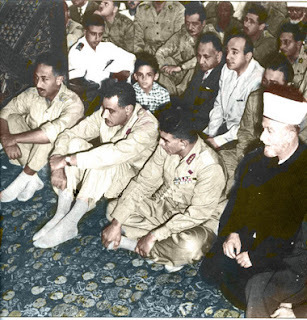 Sadat introduced constitutional amendments which clearly stated that Egypt is an "Islamic country and that Islamic law Sharia is the main source of legislation". The Egyptian identity was constructed on the majority the viewed itself as Islamic and Arab, with a real unspoken skepticism about the accuracy of this description. Are we Arabs? Are we Muslim Egyptians or Egyptian Muslims? Ironically till this day, Egyptians naturally refer to the residents of the Arab peninsula and the Arab gulf as indefinitely The Arabs. and vivid social portrait. 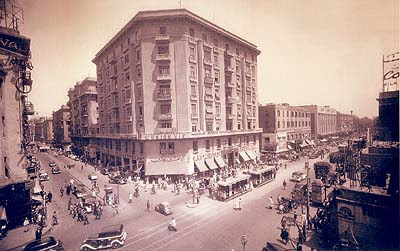 After the coup of 1952 took place and the new military regime applied its new radical answer to who is an Egyptian, Cairo was evacuated from the residents who were sought to be less Egyptians, like the Europeans, the Europeanizd and the Jews, the places which those elements emptied, along with the new roles the new military authoritarian regime created were to be filled with pure Egyptians from the urban areas who they got qualified by the new state sponsored Nasser educational institutions The demography of of Cairo was changed once and for all, once a great diverse society now a racial majority dominant city, and no one who lives in Cairo became from Cairo no more. The population numbers may give us a more clear image; in the 1950s the total population of Egypt was nearly 20,000,000, the population of Cairo was 2,410,000 making nearly 11% of the total population. In 1960s the total population of Egypt reached 26,380,000 with a yearly growth rate of average 2.1%, while the population Cairo reached 4,706,000 with a growth rate of nearly 4% almost double the percentage of the whole country and becoming 20% of the total population. 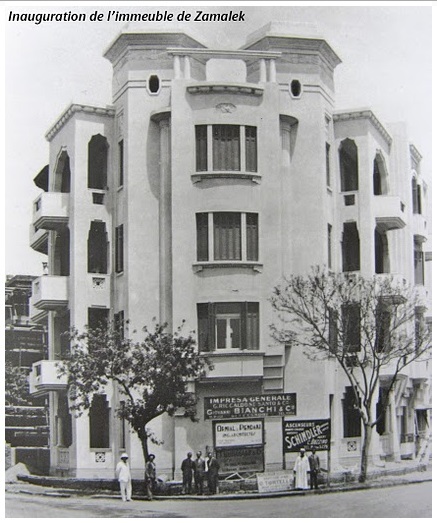 Giving in the facts the nearly 60,000 Jews were evacuated from Cairo along with thousands of other unwanted subjects. Those numbers indeed shows us the great demographic revolution that Cairo witnessed, once most of the street signs were written in Latin letters, now exclusively in Arabic. The new ethnic majority was to rewrite the whole Egyptian reality. 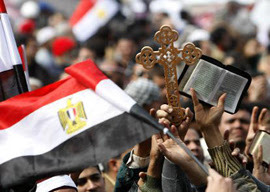 The new enforced identity for Egypt is exclusively identifying an Egyptian to be Arab and Muslim (with considering Christian Egyptians as subordinate citizens as they precede Islam), leaving non-Muslim communities in doubt of their Egyptian identity, like the Coptic community, or the Baha'is who the country force them to adopt a Muslim or a Christian one. With the Islamists rise to power after the 2011 revolutions, the Islamists seek to reshape this identity. To identify Egypt just as a Muslim nation, enforcing Sharia law and Muslim behavior on all aspects of public and personal life. Since the public political emergence of political Islam after the Tahrir revolution, Islamists have called upon the people to save and assure the Islamic identity of the country. In all of the electorate processes done after the revolution, the Islamists always supported their own ideas with the claim of preserving the Egyptian Islamic identity. Also the process of writing the constitution which was done by Shoura council occupied mainly by members of the Muslim Brotherhood and the Salafist fundamentalist movements, showed how much Islamists are obsessed with the idea of defining the Egyptian identity as Islamic. The liberal and secular political players, are trying to counter this by developing a new concept of Egyptian identity and realistically define what is Egyptian and what is not. This tiring and long process which will take long time, and will have to go through great challenges like challenging the current national Egyptian historical narrative which paved the way to the current identity crises by excluding other less-Egyptian elements. This clash of identities is deep and strong and one of the main factors of Egypt's current political turmoil. The question of identity can be answered only by the Egyptian people, whom they have to decide if they want to be an ethnic majority nationalist country or a modern tolerant diverse open middle eastern society.